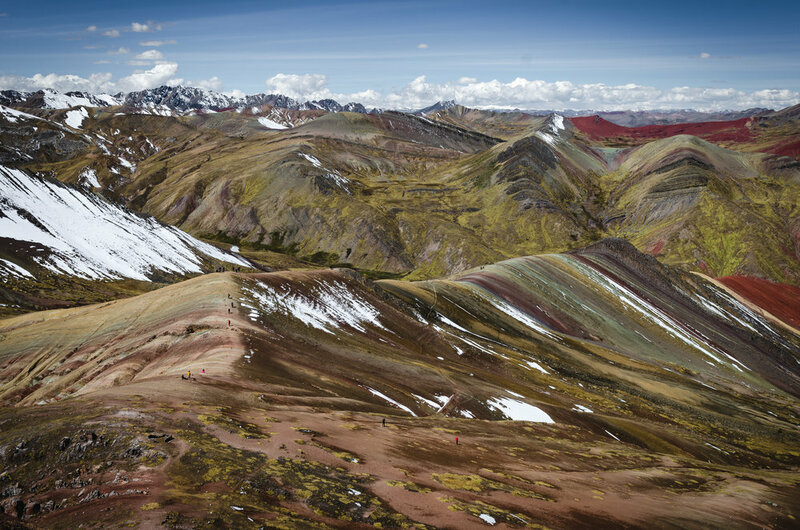 Get away from the crowds of the more famous Vinicunca mountain. We visit a different location! Visit the Inca bridge of Checacupe. Explore and photograph this location with very few other tourists. Have it for yourself and the surrounding Llamas and Alpacas. 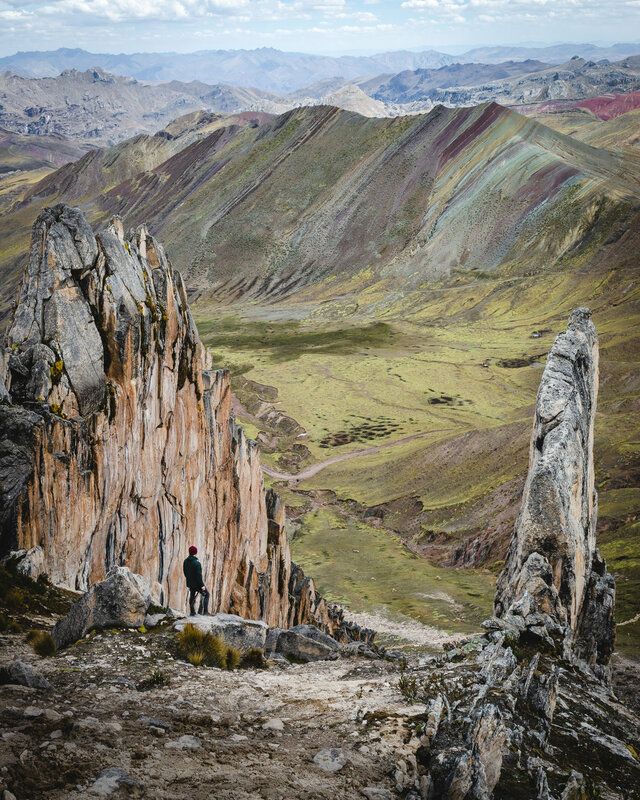 3 Rainbow Mountains instead of 1 on the traditional Vinicunca side. 6h30 - Pick-up from your hotel or hostel and depart from Cusco. 9h30 - Stop in Checacupe to visit the Inca bridge. 11h00 - Arrival to the Alternative rainbow Mountains. 11h10 - start the walk to the rainbow mountain, actually going through several different coloured mountains. Be ready to cross paths with the local wild life, filled with Llamas, Vicuñas and Alpacas. 13h00 - Reach the top of the rainbow mountain. time for pictures. 18h00 - Arrival back in Cusco and Drop-off at the door of your hotel or hostel. It's not just about the Rainbow Mountains. It's what you can see and photograph throughout the journey. Here's a picture of Ausangate in the backdrop on the way to the top of R.Mountain. - Entrance to the rainbow mountain. 2 people: 200 USD (per person).